There are two things which are sort of working against Turia. One is their name is one letter away from a more popular band name who has no relation, stylistically to their sort of music. 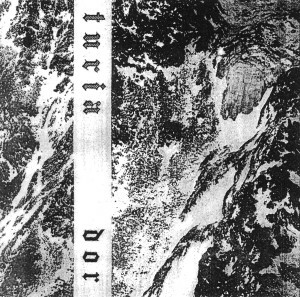 Secondly, they are classified as atmospheric black metal which at times glances over the intricacies this record offers. There is sure many instances of atmosphere even with songs that reach 10 minutes. However even with these aspects, songs like “Ascese” is cut from a different horrid cloth that what is assumed to be lighter and transcendental black metal. There is grit which digs itself under nails for each of these songs. Even slower tracks like “Zuiverheid” have a sundering qualities which dismantles everything hopeful and bright allowing the darkness to overcome the earth. If Haeresis Noviomagi continues releasing cassettes like this, they are in line to being one of the most consistent black metal producers in contemporary times. Though 2 out of 2 is still early, I have high hopes for this distributor/label and any vile things they decide to throw out into the the world. It is the holidays after all and these things would make great gifts for the people who work in your office.